Call us for a quote on your design requirements. This book is concerned with crimes committed by the Government, conspiracy by our judges, and the obstruction of justice. Prisoners should have equal protection under the law. It is a fact, that prisoners are being denied their rights to the due process of the law! Whilst the normal citizen can concern himself or herself with caring for trees and animals, they turn a blind eye or their backs on their own kind. In November 1969, at the age of 22, John Thornton was sentenced to prison for 14 years on armed hold-ups on two banks. 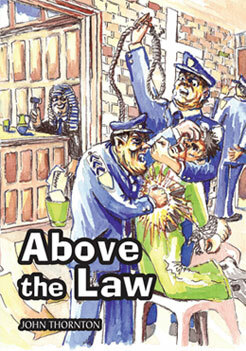 After a Royal Commission into the Police Force and the Government knowing of the corrupt behaviours of the police with unsigned records of confessions and the loading up of guns, false evidence given by police nothing has been done in any way shape or form by the Government to amend any of what has been done.